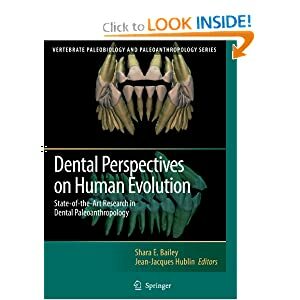 From the reviews: “The edited volume is based on the Dental Paleoanthropology symposium which was held in 2005 … . The volume provides invaluable new results, discussions, and synthetic approaches which demonstrate how the study of dentitions can greatly contribute to our knowledge on past human variability and evolution. … Overall it is an excellent volume which contains high quality contributions and is therefore essential to paleoanthropologist, anthropologists, and scholars from various related disciplines. … an invaluable and timely comprehensive account of state-of-the-art research in dental paleoanthropology.